Growers have slammed suggestions of an avocado conspiracy theory that has led to a national avocado shortage. 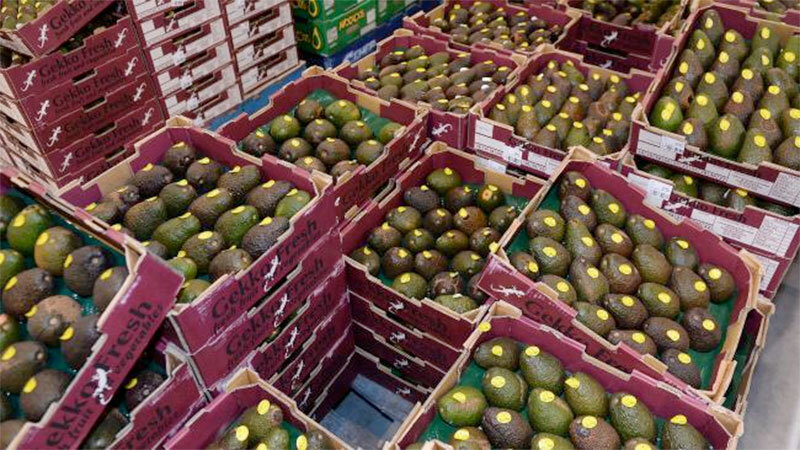 Fairfax Media reported International Avocado Society president Antony Allen said farmers threw all their stock onto supermarket shelves in the lead up to Christmas to help them deal with the usual slow January period. Did farmers create the avocado shortage? He said that put the avocado industry in “uncharted territory” because there were now limited avocados left to cater to the demand that is there this month. The price of avocados has been jacked up, with some as expensive as $8, and some supermarkets have even put a limit on how many customers can buy at once. Western Australia Avocado Growers Association chairman Wayne Franceschi refuted Mr Allen’s claims and said supply had been steady but there was just not enough to keep up with the demand. “Avocados are just hot property,” Mr Franceschi said. He admits there is an avocado shortage, but not because farmers parted ways with too much stock, instead he believes it’s because of shocking weather conditions earlier this month. “Cooler conditions are superb but there have been bushfires, which shut down roads and made things a little more difficult,” he said. “Then when the weather is really hot, you risk sunburning, which is another detriment. “If you have a 45 degree day then you are in a lot of trouble, growers tend to pick fruits on the outside of the tree before the sun gets to it. Mr Franceschi said Mr Allen’s comments were disappointing because growers were doing everything they could to make sure avocados were flowing into supermarkets 52 weeks a year. “We just want people to have the best of the best,” he said. On Woolworth’s website, an organic avocado mini is priced at $7.98. Coles is selling organic avocados for $5.50 each and you can pick the fruit up at Harris Farm for $6.99. Mr Franceschi admitted the price was high but said it reflected the high quality of avocados. “The faster things move, the more certain consumers should be that they are getting a better product because it reduces the shelf age,” he said. “Once upon a time a shopper might have bought just one avocado but now it’s on the shopping list and they buy two or three. “I’ve been asking around and people are happy to pay around $4 for an avocado, it’s basically the same price as a cup of coffee,” he said. Spokesman for consumer group CHOICE, Tom Godfrey, believed the price of the fruit was hard to swallow. “The good news is, prices are likely to fall as fruit from Queensland enters the market around March,” he said. “Until then, if you’re on a budget, your best option is to substitute avocados in your weekly shop with something a little less pricey. “To avoid going a little green at the check-out, consider swapping avocado for peas or broccoli when making guacamole, or with tomatoes only $2.99 per kilogram, you could whip up a salsa. He also suggested spreading hummus on your sandwich instead of avocado. “If you really love avocado, then the next time the price drops, you might consider stocking up and freezing a few for a rainy day,” Mr Godfrey said. People are currently eating their way through 3.2kg of avocado every year, and Mr Franceschi expected people would be eating 5kg before long. Throughout September and October last year, there were up to 220,000 avocado trades per week on Australia’s east coast. Through November and December there were about 320,000 trades. Avocados Australia chief executive John Tyas said extra trees had been planted to keep up with the demand in the future.